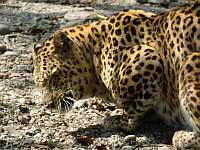 Dooars is famous for its rich biodiversity and superfluity of wildlife in its Gorumara National Park, Chapramari forests, Jaldapara Wild Life Sanctuary and Buxa Tiger Reserve. Beautiful motorable roads cutting through deep forests, mauve hills standing at the end of velvet green plains, forests echoing with the melody of birds and fabulous wildlife sanctuaries with picture-postcard, log cabin lodges, valleys carpeted with tea gardens, small quiet ethnic villages, vast meadows with a blue outline of the Himalayan ranges in the horizon, endless sky.... You are in Dooars! It is at a stones throw distance from Panchavati. 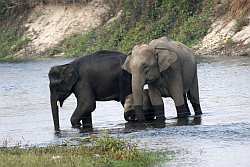 Here, one will get clear of flora and fauna of Gorumara National Park that are demonstrated with light and sound. There is also a mini deer park beside the centre. Permit to visit the forests of Gorumara, Jatraprasad watch tower, Medla watch tower, Khunia Watch tower, Chapramari, Chukchuki and Jungle Safari is issued from this centre. It is a nature lover’s paradise. Green The journey to Samsing is a memorable one, as you slowly ride uphill through the most picturesque Dooars tea garden on the rolling hill slopes. Suntaley Khola is about four kilometers further up the road from Samsing .It gets it name from a small stream; Suntaley Khola. In Nepali Suntaley means orange and khola means stream. It is also a place for birding with birds. The hills with green all around will never let you feel alone in this divine landscape. Amidst the beautiful hills, flowing rivers, dense forests of dooars, situated close to a International border, is exquisite Jhalong, a lovely destination for tourists. Present at the crossroad of Jhalong and Jaldhaka, and surrounded by hills is Jhalong. A major attraction of this area is Jaldhaka Hydro Electricity project on the Jaldhaka River . Bindu is about 30 minutes ride from Jhalong, built on Jaldhakha river. Rare view of the Bhutan Himalayas and snow peak mountains in the winter. Tourists have other options also. One can enjoy Village Tours, Bird Watching and Short Trekking to Todey and Tangta. Todey and Tangta are small mountain village just at the foothills of Neora valley national park. One can trek upto Ramety, Rechela and Panglakhan. 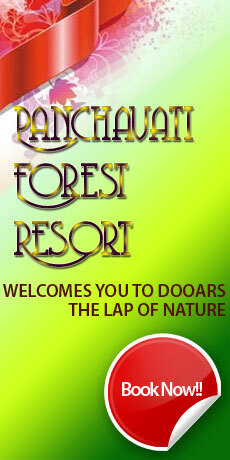 Jaldapara is one of the most luxuriant forests of the region and is surrounded by tea estates. The area of the Sanctuary is 216. sq km. It contains a great diversity of flora and fauna of mixed deciduous forest, grasslands and river banks. . The main attraction of the sanctuary is Asiatic one-horned rhinoceros. The wild life, in addition to the famous Great Indian One Horned rhinos, consists of Royal Bengal Tigers, wild elephants, deers, swamp deers, hog deers, wild pigs, bisons. Some rare species like the hispid hare and the hog-badger are also found here. Tribes of the regions are colorful and hospitable. Elephant, Indian Bison and deer can be spotted easily as they regularly come to the salt reservoir just below the tower. 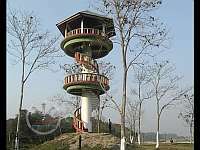 Totopara is 22 km from Madarihat, the entrance of the famous Jaldapara National Park. home to the Toto Tribe, one of the few remaining tribes of its kind in the world. Their customs and culture have invoked great interest amongst anthropologists.